In its quest to end the stigma of mental illness, the International Bipolar Foundation (IBPF) has created a simple but potentially powerful tool: the first Mental Health Awareness patch for the Girl Scouts of America. In exchange for learning about mental health issues, a Girl Scout can earn the patch and have a new addition for her uniform, as well as a better understanding of what it means to deal with mental health challenges like depression, anxiety, ADHD and other disorders. Abundant feedback confirms that the mental health awareness patch program, now entering its third year, is having a positive effect, says Ashley Jacobs, the IBPF’s director of operations. In one thank-you note, a Girl Scout troop leader explained that all her life she’d been pressured to hide her own mental health issues — among them, depression and anxiety. 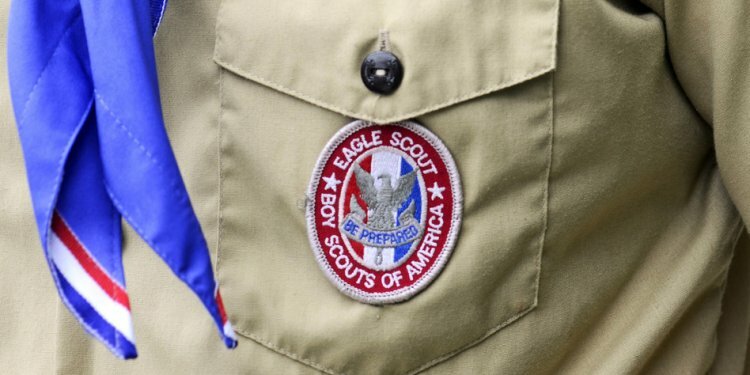 Now, she wrote, her scouts were talking openly about mental illness and learning that it’s a medical problem that can be treated, not a source of shame. “I didn’t have that person to talk to growing up and wish I did. Thank you for giving me that chance!” wrote the troop leader. Other leaders have confirmed that their Girl Scouts are creating service projects to share what they’ve learned with others, and parents are being reached as well, Jacobs notes; several have reached out to the IBPF for help with their own mental health issue based on what they’ve learned through their daughter. The IBPF — started by four moms of children with bipolar disorder — has been providing resources, support and hope to those with bipolar disorder and their caregivers since 2007. But the organization knew it had to reach a wider audience — especially those with no personal knowledge of mental health challenges — if it really wanted to shift how the public sees bipolar disorder. The idea to create a Girl Scout patch offered a multi-layered approach: Not only would it educate the next generation of leaders to be compassionate and supportive of those with mental health issues, it would teach the girls to reach out for help if they should need it themselves. That could turn out to be vital knowledge in an era when depression, anxiety and other problems loom large for plenty of young people contending with substance use, suicide and bullying.